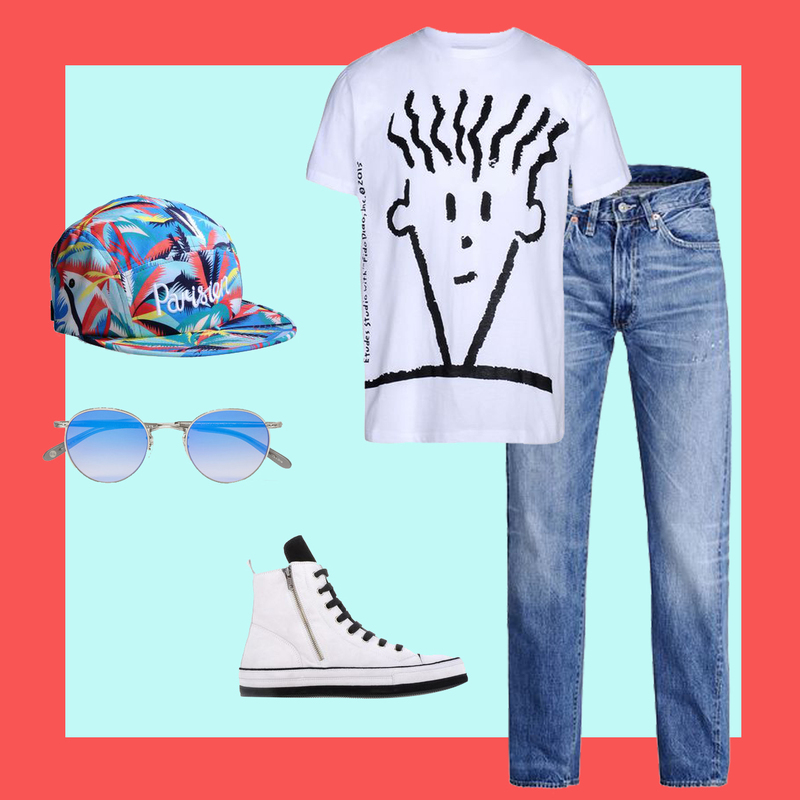 Fido Dido is making a comeback and so is the era of fashion that he came from. Take out the light wash jeans, Converse and round glasses because the 90′s are back! Will 3D Printing Change Fashion? These days, speaking of new techniques equals new possibilities. Not only has the consumption of fashion radically changed with the use of social media, but the very design itself has significantly evolved with digital techniques. 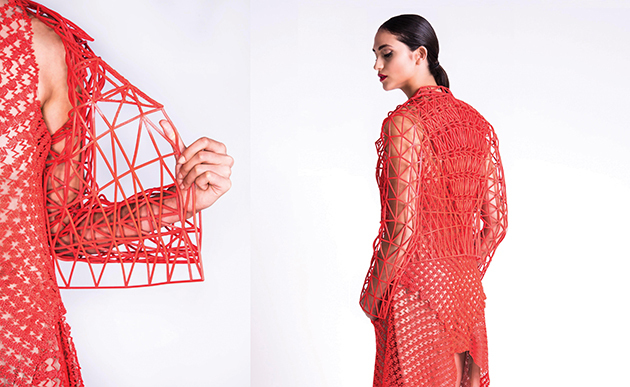 One example of the ever-growing fashion evolution is that of Danit Peleg, a fashion design student who based her graduate collection completely on 3D-printing. She has experimented with materials and received a result that is similar to usual fabrics – a discovery that opened doors to creating pieces completely made of 3D-printed fabrics. The aim of her collection was to create garments that are printable on your own 3D-printer, in your own home – an approach that is bound to shift the relationship between production, distribution and consumption of fashion in the (near) future. The project and the technique might not be completely there yet, owning a 3D printer is still not common and it takes a lot of hours to produce a shoe or a dress, but just in a few years printing will be common and ordinary – both as a new way of creating fabrics as well as a production process as a whole. It is interesting to note how the inspiration behind Peleg’s collection, despite its technological core, resides in craftsmanship of past centuries. 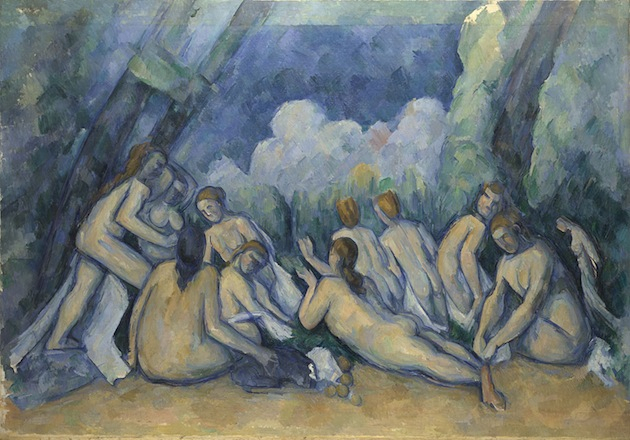 In fact, her work draws references from Eugène Delacroix’s Liberty Leading the People. Could it be that she wanted to express the liberation behind being able to create one’s own clothes, mastering the craft of production in the 21st century? While many might say that digital techniques represent a threat to the traditional design knowledge and techniques that have built the industry for the last 200 years, perhaps it would be better to consider it as a complement to the traditional design process and as a possibility for new and established designers to continue pushing the limits. An exhibition is never just contemplative; it always needs an active audience to become stimulating and meaningful. Some exhibitions are made to reflect on a particular practice, some of them are ‘retrospective’, with a precise and wide glance at past. Others, while analysing both history and present time, are precisely made to look forward, to predict, to imagine – and thus to shape – the future. 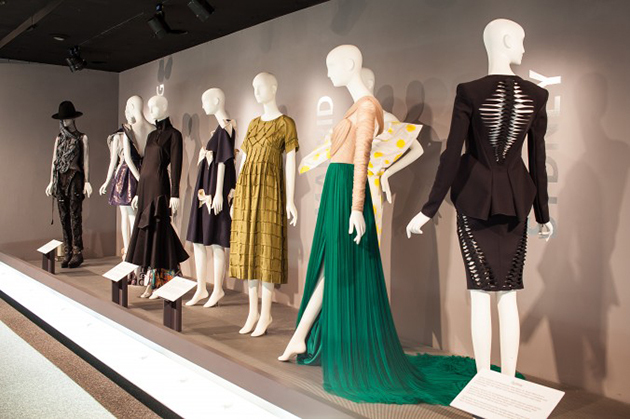 This is the case of “Global Fashion Capitals”, the exhibition which opened at the Museum at FIT on June 2 and will run until November 14. 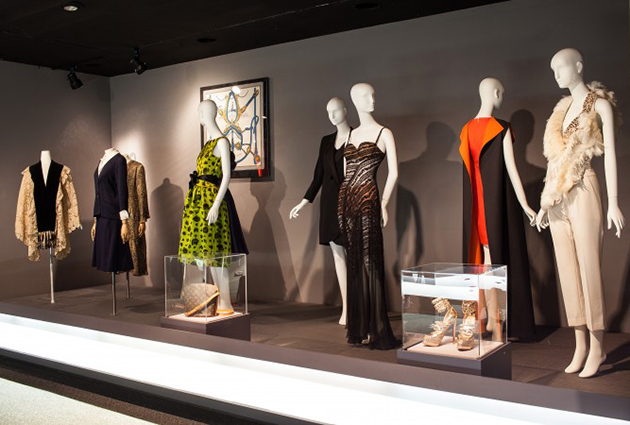 The exhibition, as the title clearly states, is based upon the relationship between fashion and its geographical distribution, or better, between fashion and its main centres. 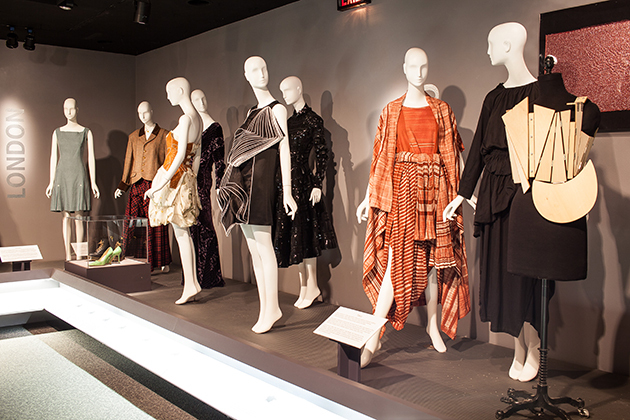 Showcasing more than 70 garments and accessories, the exhibition gathers both vintage and recent designs, analysing them starting from their provenience. 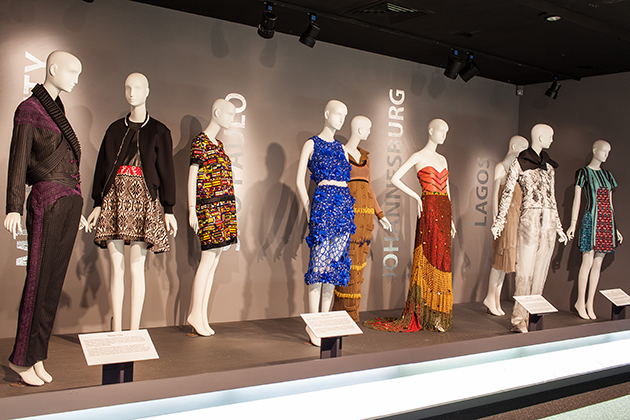 The exhibition opens with a digital map showing the current street style and runway fashion for each of the cities examined, demonstrating how fashion is now generated from the mixture of high and low, of catwalk and street, reinforcing the bond between the identity of the city and the characteristics of the designs, imagined, produced and shown in the city itself. Then, the exhibition goes deep in the matter, exploring not only the practice of the four ‘official’ fashion capitals, but also of other 16 cities that are emerging on the fashion scene for their fashion weeks – new destinations, such as Antwerp, Stockholm and Istanbul, are taken into consideration as a cradle of fresh styles and ideas. Ariele Elia and Elizabeth Way, the curators of the show, created a sort of an ideal map, and decided to select designs from the most representative designers of each ‘national’ industry, trying to pick the essence of the cities. It is common to associate some characteristics – not to say prejudices – to the type of fashion produced in each capital. The specificity of these cities with respect to fashion allows us to consider its active role in the creative process, and in this sense the stereotype is useful because it becomes the basis on which to go forward without forgetting local roots. In this way, we can see the city not only as a theatre, but as an active agent in stories told by fashion. The choice to put new centres alongside the old fab four – London, Paris, Milan and New York – seems inevitable, but actually, it is not so banal. Every journalist or insider knows that fashion weeks that count are still those four, and thus, for new capitals, it is difficult to be recognised and remain relevant. But, as many things happen in the fashion world, shifting the focus or choosing another centre around which to build the map, means changing the point of view and allowing us to discover a new global balance and new roads. The geographical movements also serve to encourage mixing, pastiche, citation, and often draw new shapes, dig new volumes, motivate new colours of the collections, seen on the runways and in stores. Fashion becomes a vehicle to explore distant and unknown cultures, intriguing proposals that seem to emerge directly from the ground of the city in which they are shown. The underlining predicament when dressing “over the top” is that the nuances of dress disappear. Layering garments, accessories and/or patterns generates, without a doubt, a striking look. And yet, the power of simplicity often overrides that effect. 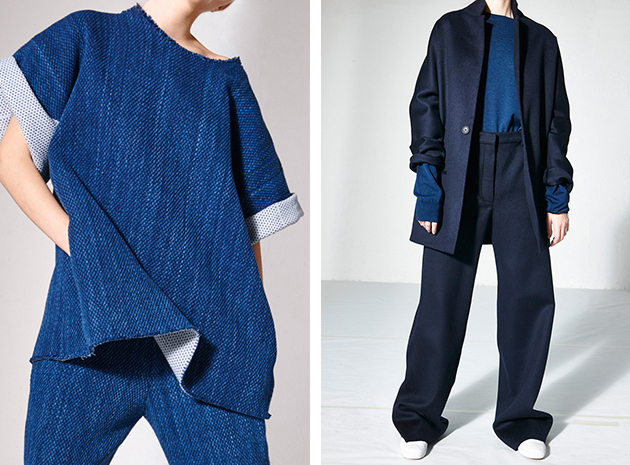 A fashion brand that has taken a stand to the latter fact is lifestyle label CristaSeya. 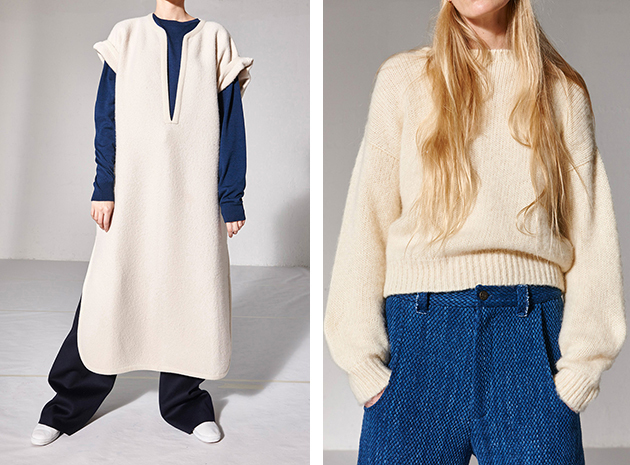 Tired with fashion and trends, as well as the incessant need for seasonal change, Cristina Casini and her partner Keiko Seya founded the Parisian lifestyle brand known today as CristaSeya. Casini and Seya, who both worked as stylists for publications such as L’Officiel and Numéro, launched their line in April 2013. 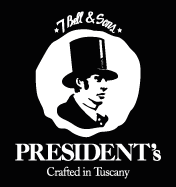 Keeping in mind their independence from reigning fashion cycles the brand, instead of seasonal collections, releases numbered editions consisting of 12 to 15 items, namely timeless garments that transcend both time and trends. The editions have thus far included blue linen pants in a menswear style cut, reversible wool blazers and luxurious knitwear, that come from Casini’s mother’s factory in Reggio Emilia, Italy. CristaSeya’s design aesthetic is minimalistic and simple, with each edition capturing an easy and relaxed feel. Their shapes are uncomplicated to let the beauty and quality of the material speak for itself. In edition two, for example, fine seersucker is presented along shirts in fluctuating lengths and colors, meanwhile editions three and four had more emphasis on tailoring and outerwear. However, the shared quality in each edition is the luxurious feel due to the fabrics and materials deeply researched by the co-founders. 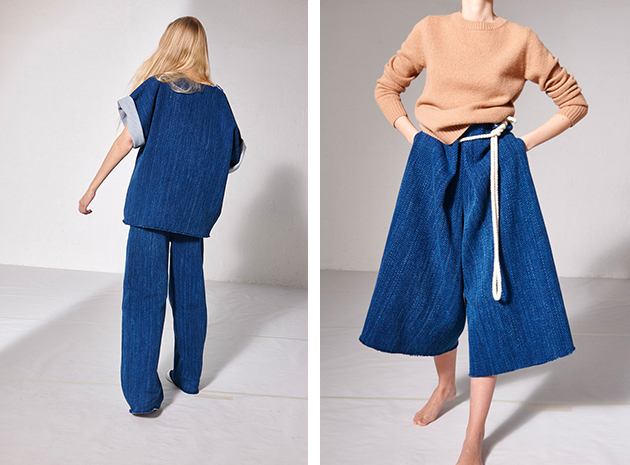 The latest edition, called Saturday, is created around the textile used for Japanese Kendo uniforms deployed for pieces like tunics or drawstring pants. Every new edition also presents handmade items from artists the founding designers have collaborated with in order to enrich the lifestyle part of the label, such as hand-sculpted combs or one-of-a-kind cushions. In a way, the attention to detail and material showcases a different side of how one can dress over the top – where the secret lies in unhinged simplicity and luxurious restraint. We refuse to think that Summer has almost ended. 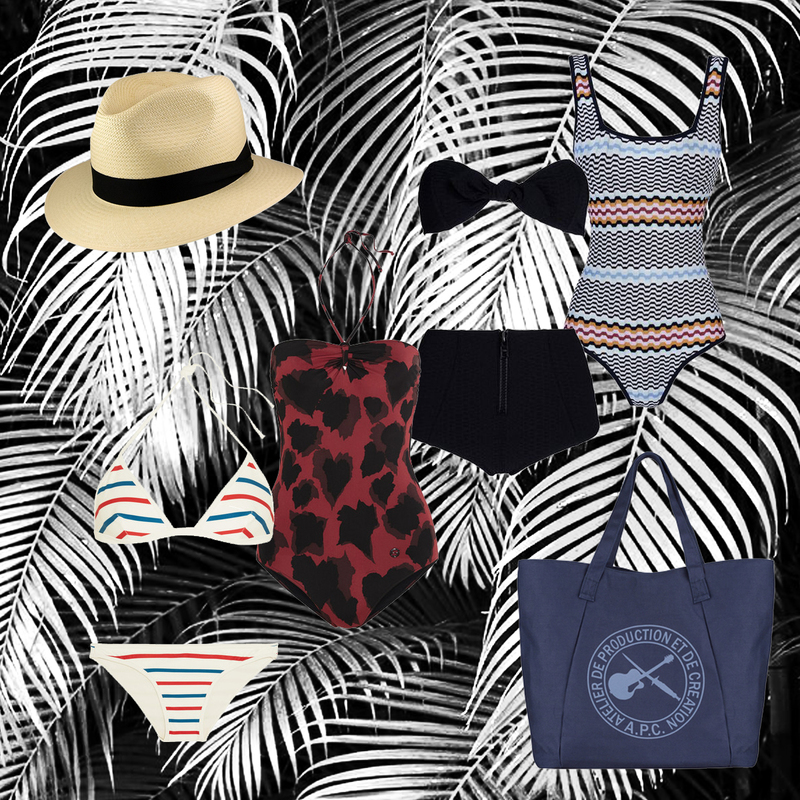 In fact, the search of the perfect swimsuit is a never ending one so we have done a selection of our top pick’s to get you stared. Is A/W 2015 the Beginning of the End for Fashion Trends? ‏We are all well aware of the fact that trends come and go‪,‬ to then make a comeback on the runway several years later, in a more updated version. 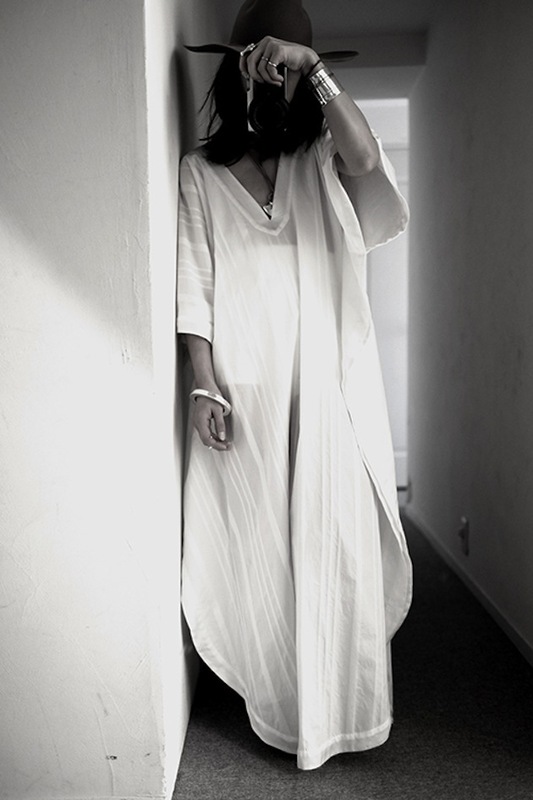 The historic references are usually chosen from one or a couple of different time periods, an example of that are the 1970s – a decade that has dominated the fashion picture for the past seasons. The big difference between that period of time and today is that‪ ‬we can’t talk about just one or even three decades that have worked as references when creating the fall collections, instead every decade from the 1950s to the 200’s have made their way to the A/W 2015 runways. 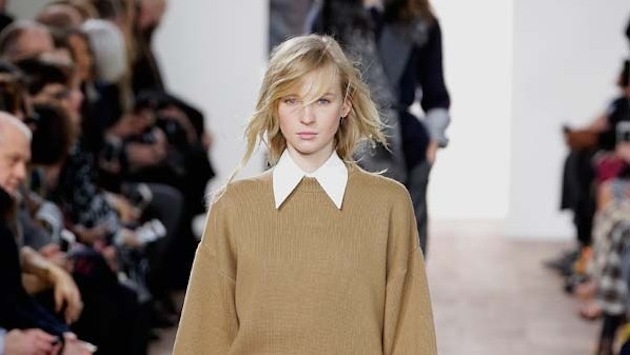 ‏The big thing about this fall is therefore the fact that there isn’t just one huge trend to talk about. Instead‪,‬ everything from colourful to the darkest black, eclectic to clean, flashy to punk, relaxed to dressed up trend‪,‬ was included. This trend merge wasn‪’‬t a completely smooth combination, as some of these trends are rather contradictory‪,‬ starting a discussion where the whole concept of a trend is being problematised. ‏Fashion is, as with many other industries, facing new challenges‪ – as it never has‬ before. One of them might be the digitalisation and what seems to be the never ending, increasing‪,‬ supply of fashion brands, designers and new collections. The fashion wheel is spinning faster and faster and everyone involved are trying to find their own pace and place within it. This has lead to a season that feels more honest and genuine than many times before, designers are turning to their brand‪’‬s historic archives or other periods of time that they feel truly inspired by. The times have changed and it is becoming harder and harder to talk about one look, one silhouette and one trend that encapsulate a whole season. Our society has changed and so has the way we think about fashion. The personal is the new black, we borrow and blend, mix and match‪,‬ the looks seen on the runway with our own styles. 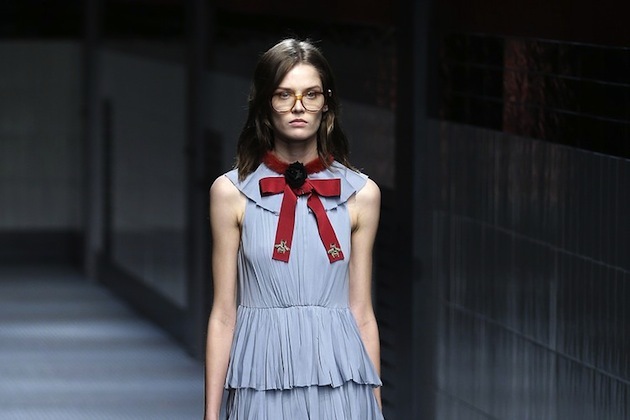 Even the designers are inspired by the personal, like in Alessandro Michele’s first collection for Gucci which was a tribute to the personal style. 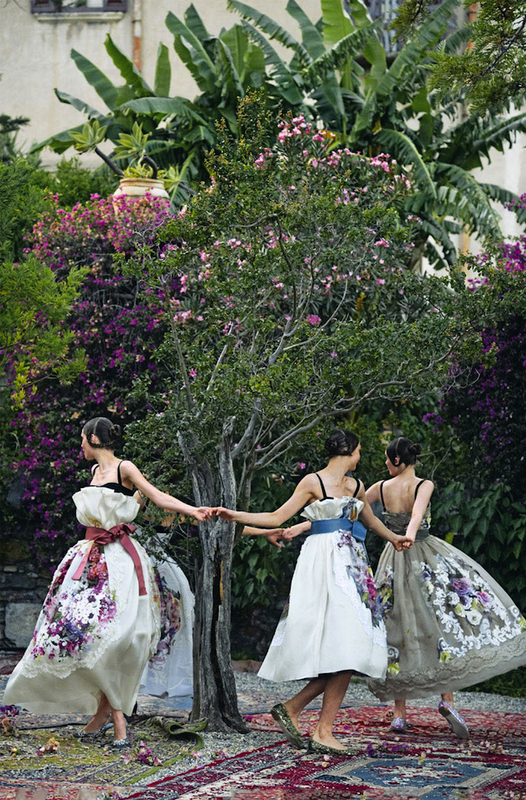 ‏If we have to talk about a trend this season it is to say that it is a tribute to the past as well as to the future. One trend that everyone follows doesn’t exist anymore, and we might not ever have a moment like ”The New Look” ever again – instead we have several‪,‬ and for this fall‪,‬ they are based on our past. 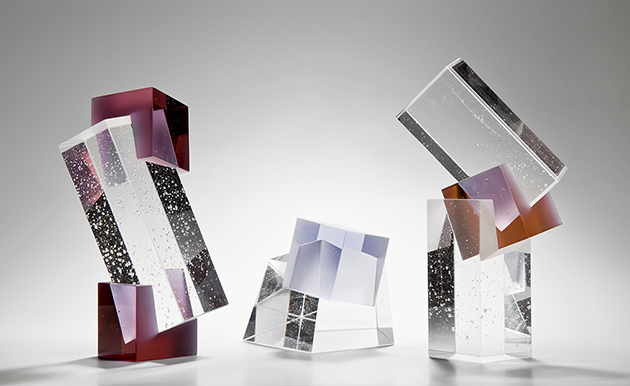 Dramatic shifts have taken place recently across the landscape of contemporary craft. 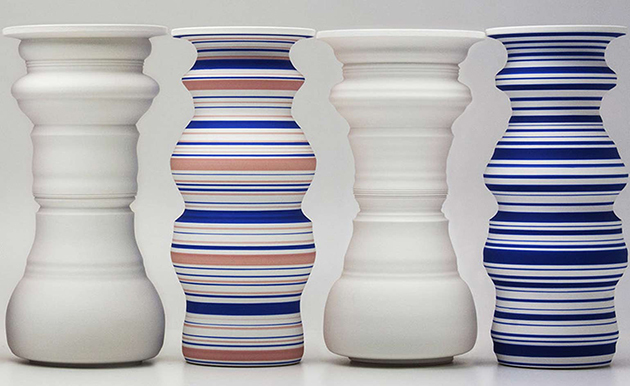 Crafted: Objects in Flux, the upcoming exhibition opening on 25 August 2015 at the Museum of Fine Arts in Boston, focuses on contemporary craft-based artists whose work embraces the increasingly blurred boundaries between art, craft and design. 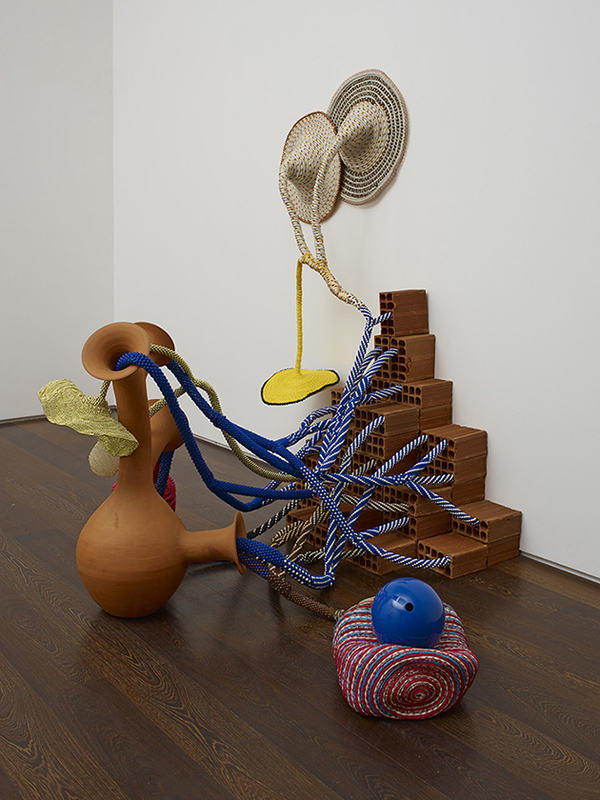 From a suite of vases that create human silhouettes in their negative spaces to a bracelet that anchors its wearer, each artwork in the exhibition incorporates materials, forms or ideas traditionally connected to the notion of “craft,” including furniture, jewelry, ceramics, wood, metals, fiber and glass. Historically, the term has been defined simply: the skillful making of objects by hand. But in the generations since World War II, artists have challenged what it means to “craft” an object, creating artworks that push—or ignore—the assumed boundaries of the discipline. One of the first major exhibitions in an encyclopedic museum to explore the broad possibilities of contemporary artistic engagement with craft, the exhibition features more than 50 works created by 41 emerging and established international artists since 2003, working individually or collaboratively. “I hope that this exhibition will encourage visitors to expand their perception of what craft can look like and say,” said Emily Zilber, the exhibition’s curator. “I am thrilled to be able to present the works of so many talented artists who have made exciting new artworks through an embrace of shifting boundaries integrated with skillful making.” Crafted: Objects in Flux is organized into three themes, “The Re-Tooled Object,” “The Performative Object” and “The Immersive Object”, and includes works by Anton Alvarez (Chilean and Swedish, born in 1980), Chung-Im Kim (Korean, born in 1955, works in Canada), Andy Paiko (American, born in 1977) and Rowland Ricketts (American, born in 1971). 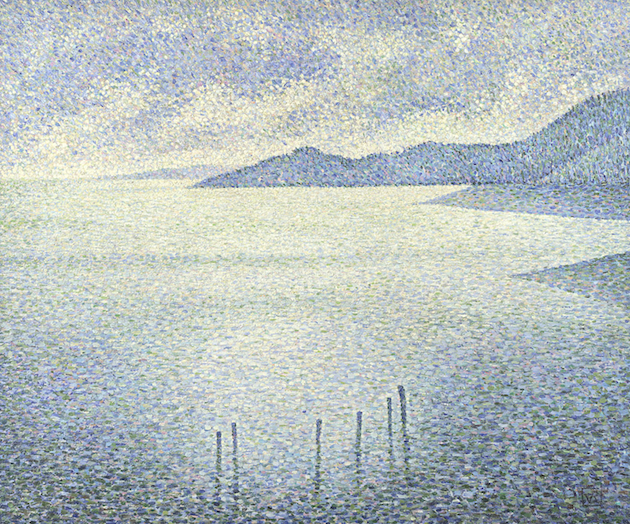 The exhibition will remain on show until 10 January 2016. Masters, in art, are those who hold the techniques, the capacities, the flair; they are thus imitated, quoted, not only by their pupils, but also by admirers coming from other fields, people who grasps the essential concepts, the ideal lessons of the masters, to put them in their own practice, reaching new results, and also new audiences. 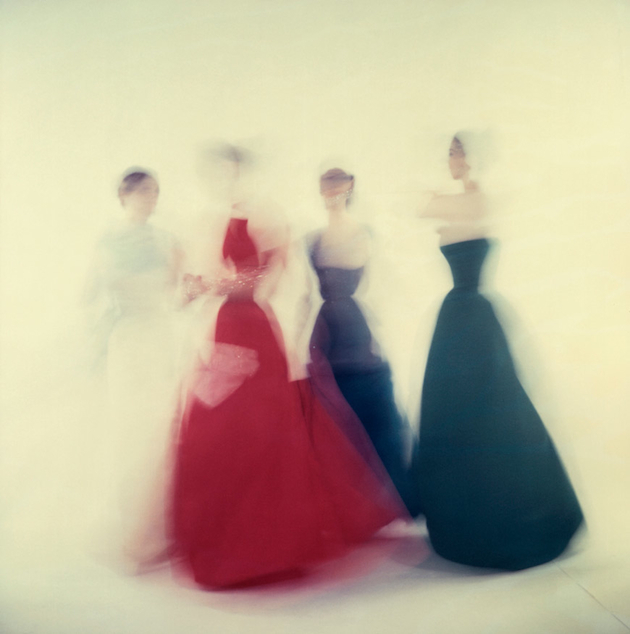 The exhibition “Vogue: Like A Painting” at Museo Thyssen-Bornemisza in Madrid shows how a certain kind of fashion photography pays tribute to painting, while remaining essentially a means to ‘sell clothes’ – as legendary editor-in-chief Edna Woolman stated. With a selection of 60 photographs from Vogue Archives – not only Vogue US or España, but all the editions of the ‘Vogue’ universe – the exhibition aims at showing how fashion photographs propose themselves as a modern counterpart to paintings. The exhibition also underlines the role of Vogue as catalyst for the diffusion of photography as a form of art at the beginning of 1900, presenting pieces by Cecil Beaton, Horst P. Horst and Edward Steichen. The exhibition does not follow a strict chronological order – nor it is intended to align to some sort of ‘style’ in the photographs chosen. What associates all the shots selected is something even more volatile than a style. The thread is the overall presence of a pictorial attitude, be it in the use of light, in the mixture of colours or in the pose of the models. The delicacy with which all the images are composed recalls a fantasy not fixed at a date in time; a sort of suspended atmosphere, between that of a glorious and undetermined past and a fairy tale. Some photos are a clear tribute, other references are not that obvious, and it is precisely in these kinds of shots that the real concept of the exhibition emerges. While for the firsts, the quote is so blatant we may think of the theme as a mere exercise de stile, the second make us stop and watch, scrutinizing each detail, each drapery or embroidery or fold, provoking a more complex and immediate feeling, the one art generally provides. It is not a matter of imitation; it is more about a shared sensibility, between artists and photographers, which overcomes time and space barriers. Means, techniques and technologies change, but the attitude remains the same. Debra Smith, the curator of the exhibition, talks about ‘a-temporality, a kind of mental time lapse in which everything is very, very still’ – which is more a predilection for a certain kind of composition, of poses, feelings and sensibility. What seems really absent from these scenes are dresses, but just on the appearance. Dresses here do not seem to be protagonists, but actually a part of the set, useful either to make the scene credible or to build the character who populates the story the photo wants to tell. And this is exactly what brings down these photographs on earth, partially neutralizing the gloss of the pages of the magazines they were destined to. We, as socially active human beings, are always playing a part, thus we are always in the centre of some sort of scene. When we consciously choose to dress in a way or another, we are setting that scene, we are playing this or that character, without showing effort and being comfortable in that role – a perennial stance of Sprezzatura, as Baldassare Castiglione used to call it. 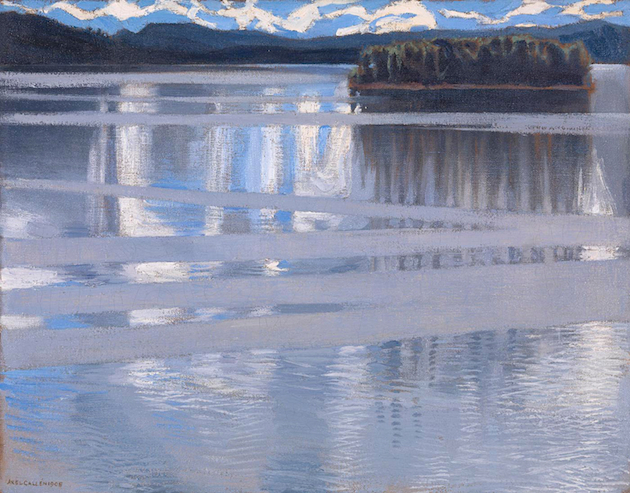 Stillness, motion, glaze, gesture. Fashion is about selling – and selling is, now more than ever, about telling a story in which people either recognize themselves or want to fit in. 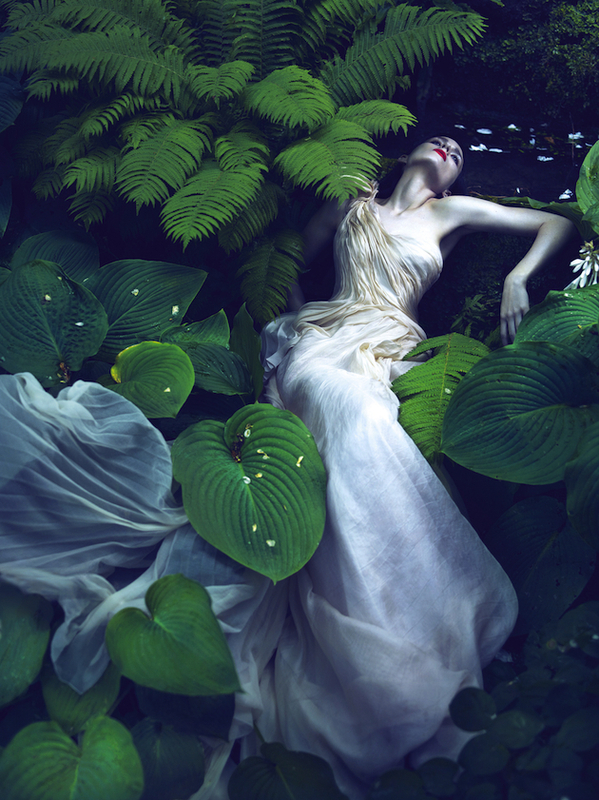 Fashion photography is about depicting this story and framing it: it is indeed about selling – as Irving Penn used to say, but dreams, and not clothes.